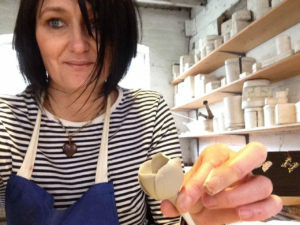 Are you looking for a ceramic artist to come to your school and demonstrate ceramic techniques? Perhaps you found this page as you would like an artist who can demonstrate how china flowers are made? I have been a china flower making demonstrator since 2014. I still work very part time demonstrating china flower making at Coalport China Museum. I can come to your school or college and demonstrate the ancient art of flower making. I would also be willing to demonstrate how I make my ceramic ‘flower people’. I do have a number of ceramic skills which I would be willing to demonstrate including Pinch Pots, Coil Building, Slab Building, portrait sculpture and general sculpture. I have 2:1 degree in Ceramics. Bone China Flowers have been handmade to decorate pottery since the middle of the eighteenth century. They were popular in Victorian times where tiny hand made flowers were made into brooches and were added to bowls and vases. They got popular in the 1800’s when Coalport China had a range of flower encrusted pottery which they called Coalbrookdale. Coalbrookdale ware was a very desirable line of china at its time, famous for the sculpted ornamentation and inspired use of colour. Bone china flowers were only ever made by girls after an apprenticeship period. Those who showed potential were chosen to stay and would learn to make bone china roses, daffodils, daisies, pansies and many other flowers, using their hands and simple tools such as a comb. I believe I can teach anyone to make flowers out of clay. I have run flower making classes before and everyone could make flowers at the end of the course. Techniques vary depending on the clay used. With bone china clay I use original techniques using simple tools such as comb and just my fingers to create the petals. 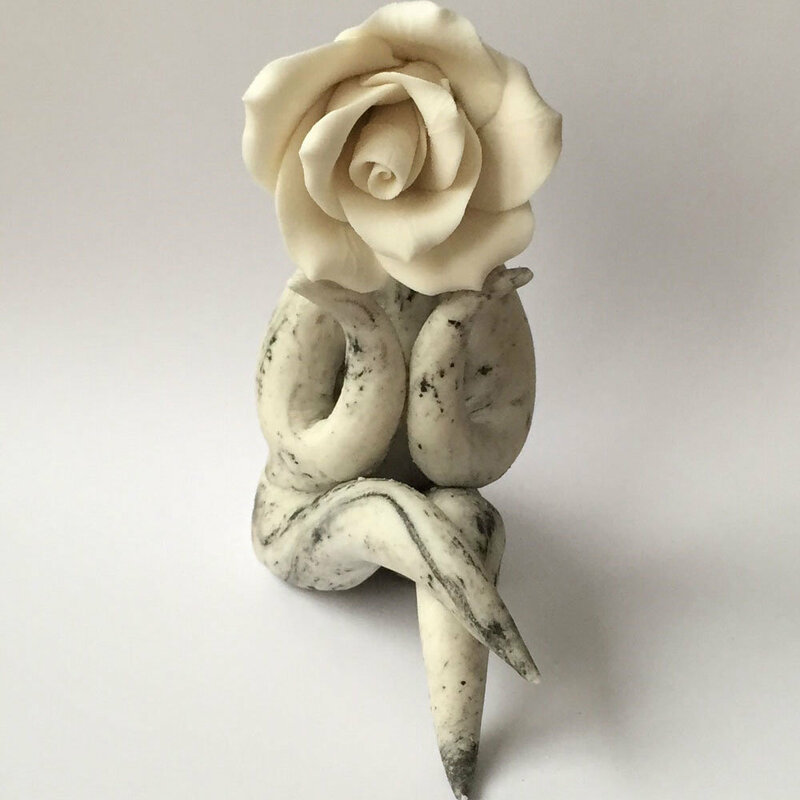 With other clays I use the palm of my hand to create petals but also a ridged surface to create ridged petals. If you would like me to come into you school or college and teach your students ceramic techiniques contact me today. I am a freelancer so can arrange my work to fit around your timetables. Contact me on caz (at) cazamic (dot) (com) or phone me on either 07813 257386, or 01952 401849.